A proposal that, if enacted, would change how much new cryptocurrency is released on the world’s second-largest blockchain was finalized Friday, with developers agreeing to include the code for such a change as part of ethereum’s upcoming October upgrade, Constantinople. Speaking on a video call, a group of 14 developers agreed to support code that would reduce the amount of new cryptocurrency introduced on ethereum to 2 ETH per block, down from 3 ETH today, by implementing an updated version of an ethereum improvement upgrade named EIP 1234. Notably, investors and miners who attended a meeting on which upgrades should be included in Constantinople last week were not invited to this week’s meeting and did not attend. But while this week’s meeting featured a more limited number of attendees, those present agreed that the difficulty bomb — a piece of code intended to add time pressure to upgrades, and that has influenced discussion of Constantinople’s code — will be delayed for a 12-month period. Yet another hard fork, or network-wide software upgrade, will be planned to occur 8 months from the upgrade to Constantinople, developers agreed. With controversy building on the issuance change – and multiple parties arguing for different outcomes – a reduction to 2 ETH was positioned as the conservative choice. Depending on the perceived outcome of the change to ethereum’s code, security researcher Martin Swende suggested revisiting the question after the 8-month period. “I think we also need to be conservative with changes and make changes incrementally, and not dictate changes against the will of the community, but apply conservative measures in doing changes but try to keep them within the intent of the community,” Swende said during the call. “Everything I view in the issuance discussion is an incremental compromise to encourage the community and move things sanely until we move to proof-of-stake, which will bring issuance down to the range of 0.5 or 1 percent per year, and at that point I think the community will certainly be happy. These are incremental compromises until we get to that goal,” Ryan said. While several opposing parties have come forward on the topic of issuance reduction, today’s move was touted by developers as a balance between competing voices. In the past week, several community members have argued that ethereum’s issuance model is over-inflated, pointing to a voting website, that saw 72 percent of participating ether holders vote for a reduction to 1 ETH. Such a reduction could have an impact on the price of ether, pushing up its fiat value as miners would earn less income for securing the blockchain. 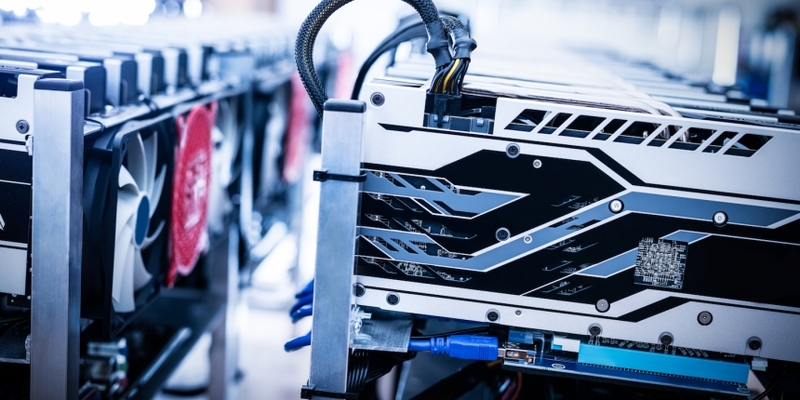 However, already grappling with the introduction of optimized mining hardware, ASICs, on the platform, others argued that too high a reduction would force miners to mine other cryptocurrencies, reducing the security of the platform. As such, combined with ASIC-resistant research, developers are hoping a majority will be on board with the proposal. “We have a strong user base of investors who want to reduce as much as possible but we have miners that said they’d agree to a small reduction, and that’s why i think we should go with 2 ETH per block,” author of the proposal, Afri Schoedon, said. While a decision has yet to be made on an algorithm change that would to restrict the use of ASICs, a type of specialized mining hardware, from the platform, speaking in the meeting, several developers argued that research should continue in this direction, while Ryan said there might be potential funding from the Ethereum Foundation. “There’s a potential for a grant here,” Ryan said. Several further non-contentious upgrades were also confirmed for the upcoming hard fork. As detailed by CoinDesk, these include EIP 145, EIP 1014, EIP 1052, and EIP 1283, which work to increase efficiency and scalability. “Those are all accepted and we are all on board with those being the four Constaninope EIPs,” ethereum developer Piper Merriam concluded.